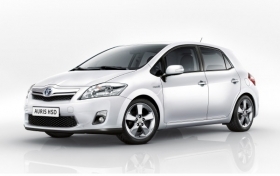 The Auris HSD is Toyota's first Europe-made hybrid. Volkswagen, Toyota and Suzuki all have hybrid debuts at the Geneva auto show. Volkswagen's new Touareg SUV will be VW's first-ever showroom model to offer a gasoline-electric hybrid drivetrain. Toyota's UK-built Auris hybrid is part of Toyota's plan to shift its focus in the diesel-heavy European market to hybrid vehicles as part of a new effort to use its resources more selectively. Suzuki's plug-in hybrid version of its Swift will be show for the first time in Europe alongside the Kizashi, which will be the Japanese automaker's first model in the mid-sized segment. Below is the fourth part of Automotive News Europe's A-Z guide to Geneva launches covering automakers from Seat to Volvo. Seat will debut a small spider concept based on parent Volkswagen group's new small vehicle architecture, press reports says. In 2001, Seat created a small spider concept, called the Tango, but the car never entered production. Seat will also unveil a station wagon variant of its Ibiza subcomact that will be called ST. Ibiza ST sales will start in the summer. Subaru will show a crossover variant of its five-door Impreza compact car called the Impreza XV. The car has a new grille and wheel arches. The car will be offered with boxer diesel and gasoline engines. Subaru also will display the Hybrid Tourer Concept and Stella plug-in electric minicar, both debuted at the at the Tokyo auto show in October 2009. Suzuki will show the plug-in hybrid version of its Swift for the first time in Europe. The subcompact combines an electric motor with a 54 kW lithium-ion battery. They work together with a three-cylinder range-extending gasoline engine that recharges the battery when it is low on power. This powertrain solution is much like that found in the forthcoming Opel/Vauxhall Ampera plug-in hybrid and on the Ampera's sister model, the Chevrolet Volt. The Swift hybrid concept can cover about 20km (about 12.5 miles) in full-electric mode. Suzuki has not give a timetable for when it plans to launch the plug-in Swift. 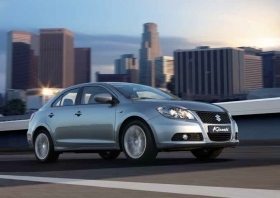 The Japanese automaker also will display the Kizashi, which in English means “something great is coming.” Suzuki certainly hopes the car lives up to its name as it is the automaker's first model in the mid-sized segment, which is dominated in Europe by the Volkswagen Passat, Opel/Vauxhall Insignia and Ford Mondeo. The Kizashi debuts in Europe later this year. Toyota's production-ready Auris hybrid will make its world debut. The Auris HSD (Hybrid Synergy Drive) is a key part of Toyota's plan to introduce its full-hybrid gasoline-electric powertrain technology across its entire model range. Toyota President Akio Toyoda has said the carmaker would shift its focus in the diesel-heavy European market to hybrid vehicles as part of a new effort to use its resources more selectively. Built at Toyota's plant in Burnaston, England, the Auris HSD is the first Europe-made hybrid for the world's largest automaker. The compact hybrid will go on sale across Europe in the summer. Toyota also will show the production version of the Prius Plug-in Hybrid and the all-electric FT-EV II concept for the first time in Europe. Toyota's next-generation fuel cell hybrid vehicle, the FCHV-adv, will be show as well. 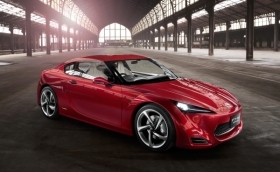 To add a little spice to its Geneva display, Toyota's FT-86 sports coupe concept will make its first appearance in Europe. Toyota is creating the car with Fuji Heavy Industries Inc., the company that manufactures Subaru vehicles. While the rear-wheel-drive car is fitted with a 2.0-liter boxer engine from Subaru, the overall design was created by Toyota's ED2 styling studio in France. Rounding out Toyota's Geneva debuts will be the premier of its updated RAV4.Toyota says the medium SUV will have a more sophisticated front-end design and a more refined interior than the current model. Volkswagen will debut its new Touareg SUV and Sharan minivan. The Touareg will be VW's first-ever showroom model to offer a gasoline-electric hybrid drivetrain. 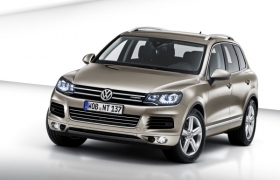 The new Touareg is lighter and sits lower than the current model to improve fuel economy. VW will finally unveil its new Sharan in Geneva. The current Sharan was developed with Ford Motor Co. in the 1990s. Ford replaced its version, the Galaxy, in 2006 with a model that it developed on its own, but the Sharan has had to soldier on and is one of VW's oldest vehicles in production. The new model will be based on the same platform as the mid-sized Passat. The updated Sharan is wider and longer than the current vehicle and will have two large, rear sliding doors. The second-generation Sharan also has VW's new front-end design seen on new models such as the Golf and Polo. The Sharan is expected go on sale in Europe in July. 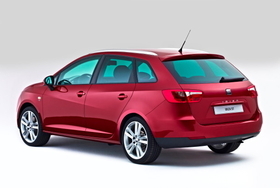 VW's Spanish unit Seat will get a version of the Sharan to replace the current Alhambra. The Sharan is not sold in North America where VW sells the Routan, a rebadged version of the Chrysler Town and Country. VW will also show the sporty Polo GTI and the SUV-styled Cross Polo, both are variants of the automaker's new Polo subcompact, which is the reigning European Car of the Year. Also debuting in Geneva is the SUV-styled Cross Golf, a model which completes the range renewal of Europe's best selling car. The production S60 is similar to the eye-catching concept unveiled at the 2009 Detroit auto show, retaining the same silhouette and sporty yet stylish stance. Volvo says the S60 will also be the first model to get Pedestrian Detection -- a new safety feature that detects pedestrians in front of the car and brakes automatically if the driver fails to react in time. The S60 will go into production in Gent, Belgium, in the summer.